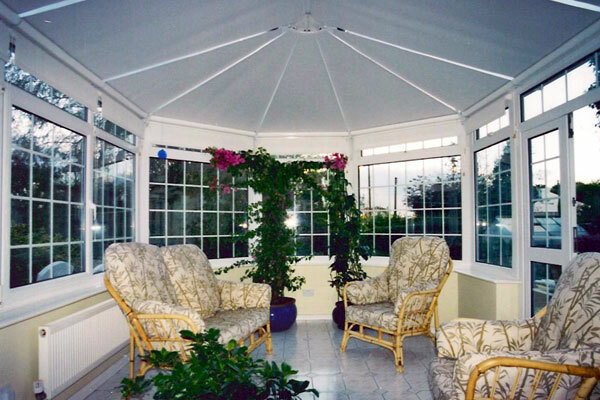 Use plenty of different fabrics in your conservatory. I have a pile of large throws in various materials, to give a really cosy feel. Added to plenty of soft cushions and I guarantee you won’t want to leave! I love woodweave blinds at the moment. Adding a natural warmth during winter, and offering gentle diffused sun-light in the summer, these are the conservatory blinds you should go for if you’re looking for a cosier space. Having plenty of romantic lighting in your conservatory is a key aspect of making in cosy. I personally have an array of cute lamps and fairy lights with I use in the evenings which gives the room a really magical vibe. Traditionally, conservatory furniture furniture has been dominated by wicker and rattan varieties. These materials don’t only create a rusticity that gives a sense of connection between home a garden, but they are incredibly durable and surprisingly cosy! They come in warm, inviting colours, which sets the tone for the entire room. I really enjoy my garden in the day light, but I find it a little eerie in the evening, (too many horror films). Thankfully you can now find transition blinds, that allow lots of light in in the evening while also giving you complete privacy! Dress these with a few soft, chiffon vail curtain for an atmospheric feel. Obviously this one only works if you have the space, but for me nothing really beats a bookshelf. I often find they add a certain atmosphere to a room that instantly makes you feel calm and relaxed. Popping a book shelf in your conservatory will encourage you to get in there with you fave book and snuggle down for the evening. So stop neglecting your conservatory space! If when it comes to your conservatory you’re a fair-weather friend, it’s time to fall back in love with your space by making it a cosy haven once again – you won’t regret it!